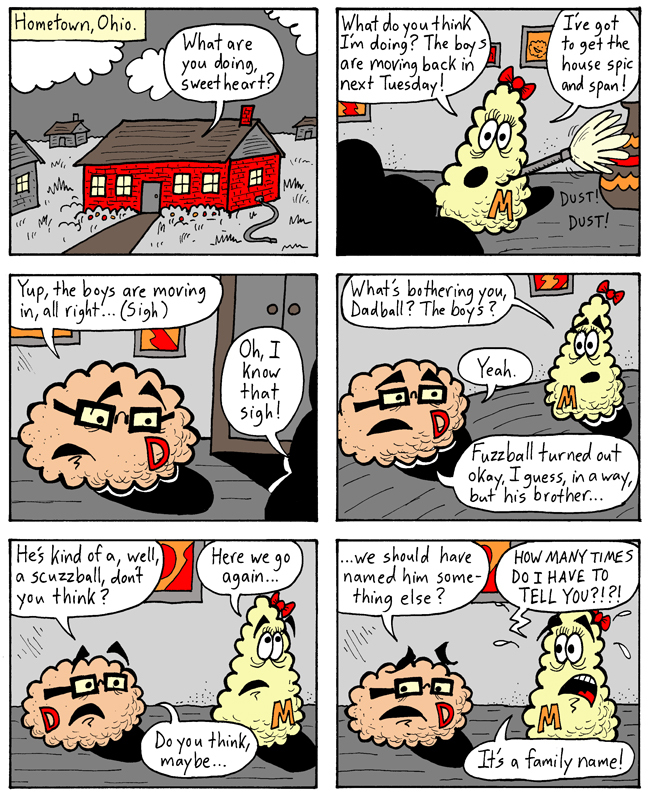 When Dale French and I were in high school, we drew a Fuzzball & Scuzzball comic strip for the school paper. In one Valentine's Day strip, their mom appeared in the last panel. Other than that, this is the first time we've ever seen Momball and Dadball. In case you ever wondered why anyone would name their child "Scuzzball," well, now you know. Also, I grew up in a red brick house in a small town. Does that mean that this whole comic strip is autobiographical? Something to consider, as you go back and re-read it from the beginning. NEXT TIME: We check back in on an old friend.